David Adams McGilp wants to build on local success last year and is optimistic of a successful 2019 for the island. He said: “From adventures to attractions, top events to superb food and drink, the region has so much to offer visitors. “Last year new research continued to show the vital role of tourism to the region’s economy, accounting for 15 per cent of employment. This is evidence of the sector’s integral role in sustaining communities across Scotland by creating jobs and stimulating social change. “We have invested in the external restoration of the Grade A listed Discovery Centre in Rothesay where our Visit Scotland iCentre is located. “Our friendly and knowledgeable visitor services advisors have continued to offer full information provision for visitors to the Isle of Bute since the work began in September, and we can look forward to the re-opening of the iCentre in the restored Discovery Centre this year. 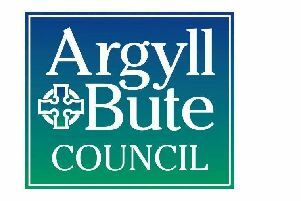 “The Isle of Bute will be featuring on a new route as part of a tourism initiative for Ayrshire, Firth of Clyde and the Clyde Islands, which last month received a £300,000 funding boost from the Scottish Government. “I look forward to the launch of ‘Five Routes – One Great Adventure’ and I’m sure it will showcase the awe-inspiring scenery of this special island. “Planning is already underway for the Year of Coasts and Waters 2020, a year-long programme of events and activities which will shine a spotlight on the impact our waters have on our country. With its remarkable marine and coastal tourism offering, this themed year is an excellent opportunity for Argyll & the Isles to showcase itself as a top visitor destination.